Ham and Cheese, B.L.T, Chicken Salad, Turkey Club and Egg Salad. 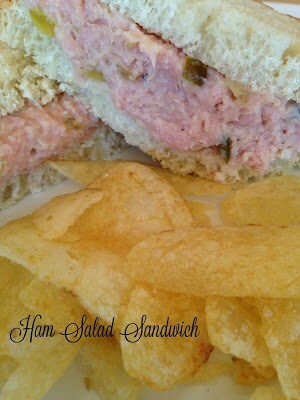 Serve Ham Salad Sandwiches with potato chips, a dill pickle spear and a couple of cookies for a real lunchtime classic. To round out this lunchtime classic sandwich, add a cup of your favorite soup. Adding a cup of your favorite soup to round out this meal is a must. Classic sandwiches seem to always be paired with a classic soup. A few classic soup and sandwich combinations are; Grilled Cheese and Tomato Soup, Ham and Cheese Sandwich with Split Pea, Egg Salad and Chicken Noodle Soup, Turkey Club and Vegetable and Tuna Salad with Vegetable Beef. This recipe calls for ground ham. You can easily grind your own ham using left-over ham. This recipe is great to make when you have left-over holiday Easter or Christmas ham. If you can’t find spicy pickle relish or you don’t like things spicy, simply substitute regular pickle relish. 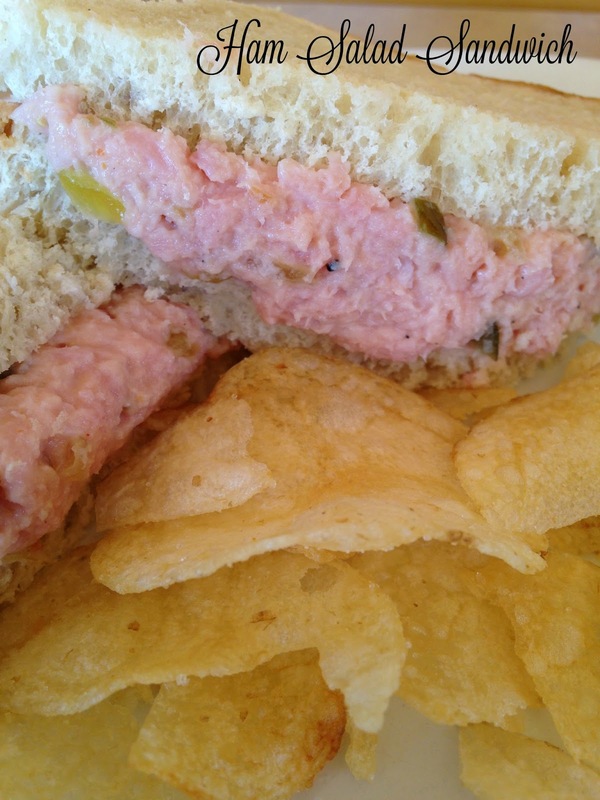 We used Famous Dave’s Signature Spicy Pickle Relish in this recipe. We also love is on a grilled hot dog or bratwurst. Spread sandwich spread on bread slices. Serve with potato chips and a pickle spear.